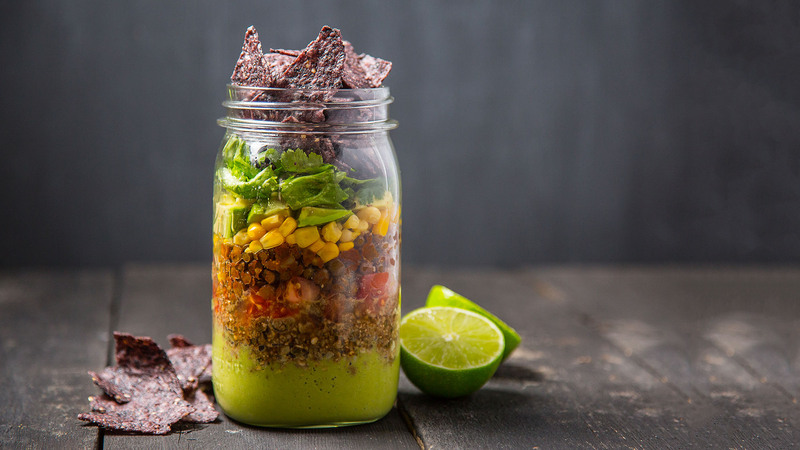 If you’re looking for a flavorful dish to spice up your party look no further than these delicious plant-based recipes inspired by the flavors of Mexico. The only thing missing is a margarita (virgin or not!). 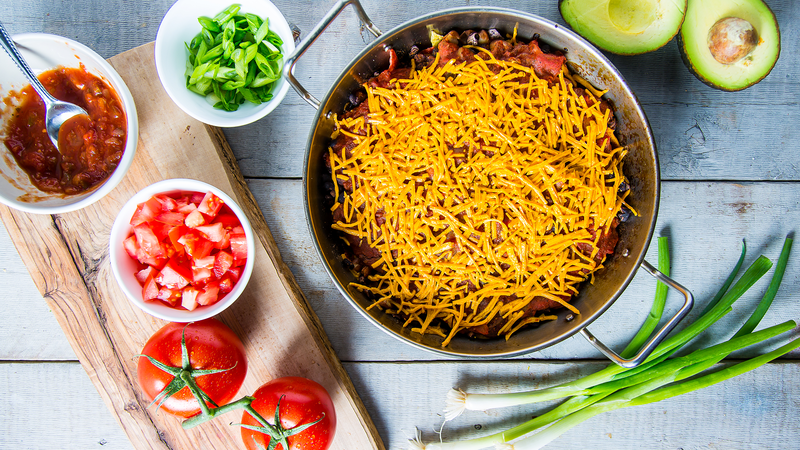 You’ll want to party all workday when you have this taco salad on hand. Pro tip: Make several on Sunday so you’re set for a week of delicious lunch meals. 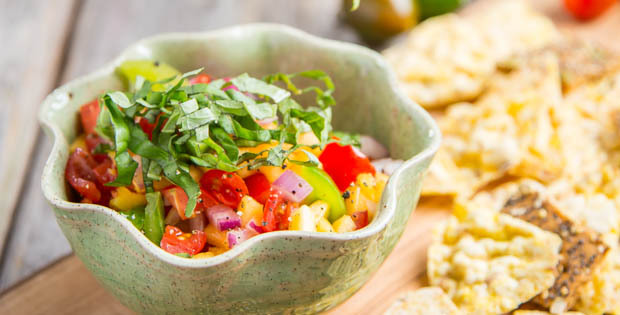 Once peaches start appearing in your grocery store, be sure to make this flavorful peach salsa, with just the right amount of heat. 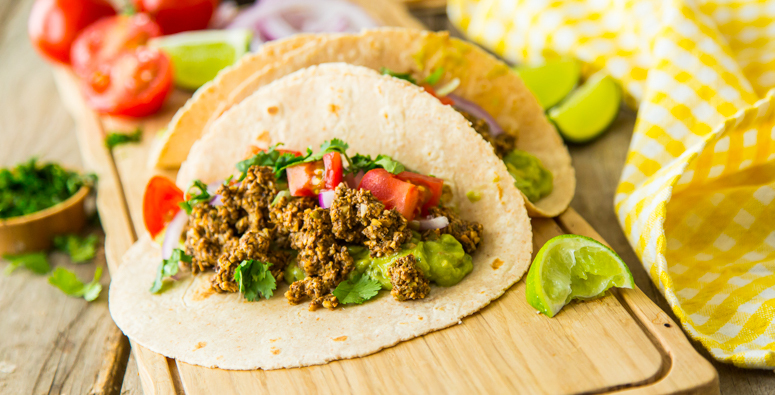 Maybe more Tex-Mex, but delicious no matter what. 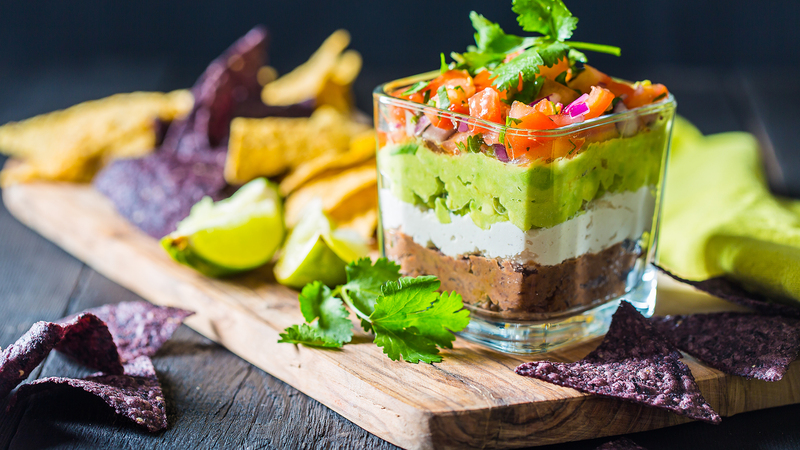 This four-layer dip has a cashew cream, black bean, avocado and fresh salsa layers you’ll want to dive right into. Now easily found in most grocery stores, jackfruit has a texture you may have thought you could only find in meat. 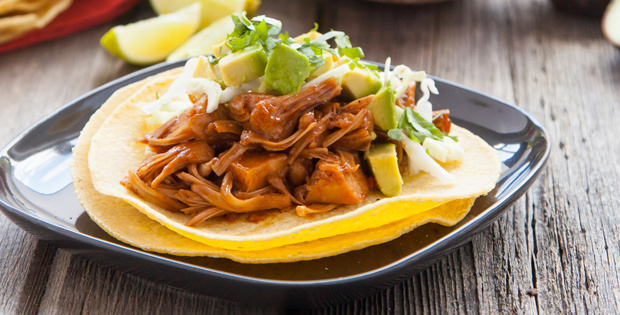 Properly seasoned, pulled jackfruit will be the star of your taco bar. If you prefer to make a meat substitute from scratch, try this walnut mushroom recipe. Inspired by Chilaquiles, a classic Mexican dish, the beauty of this dish is that you only have to dirty one casserole dish. Weeknight win. 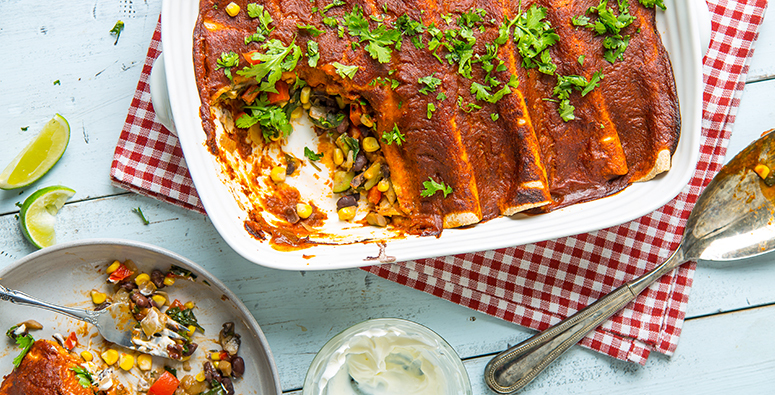 Ready in under an hour, this plant-based enchiladas recipe is good for any weeknight. Warm up with a savory bowl of soup, loaded with plenty of quinoa and peppers. 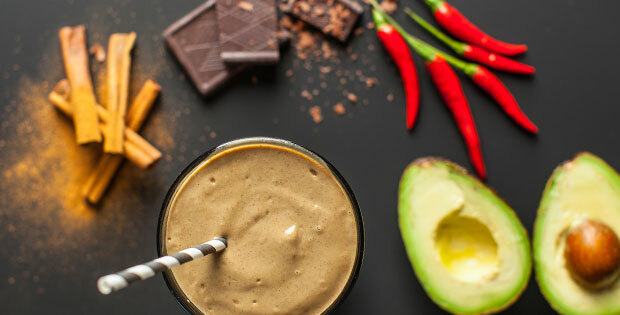 Cayenne, cocoa powder and avocado combine for a decadent dessert smoothie. 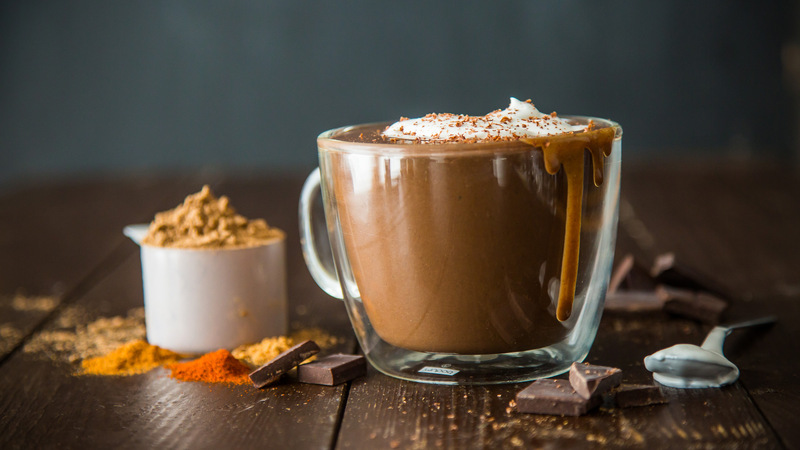 If it’s still feeling chilly out, add even more heat to your hot chocolate. Cinnamon lovers, this one is for you! 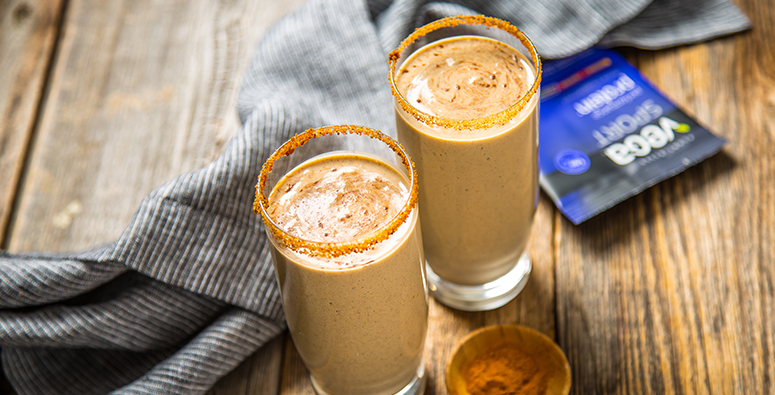 A protein shake that tastes like a churro, but has over 30 grams of plant-based protein? Yes please. 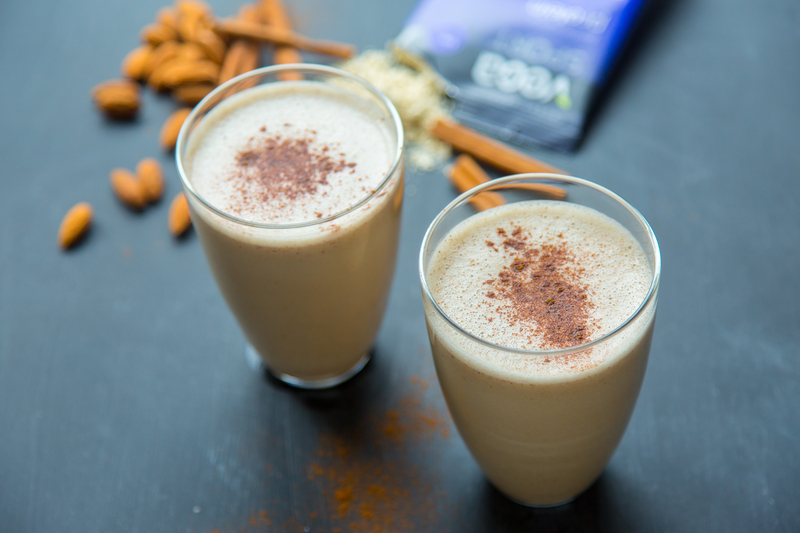 A delicious protein shake you can make with pre-bought horchata, or if you’re feeling adventurous, we’ve included a recipe for homemade horchata. 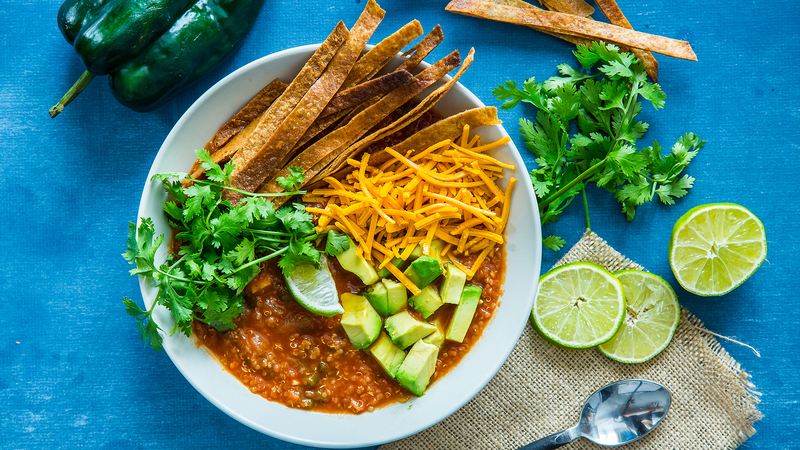 What are your favorite plant-based dishes inspired by the flavors of Mexico?